Yearbooks will be distributed to students on May 22nd. We will be selling the limited number of extra yearbooks on a first come, first serve basis on Tuesday, May 28th. We will NOT open the doors any earlier than 8:10AM. If you are there earlier than 8:10AM, you will need to form an orderly line along the brick wall. We will not sell any extras prior to this date. 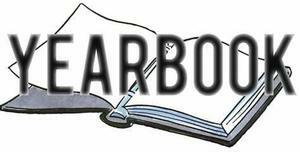 The extra yearbooks will be sold for $30; and it will be CHECK ONLY written out to Wildwood. If you do not have a check, we will not be able to sell you an extra yearbook. Please contact Taylor Petefish at taylorpetefish@tomballisd.net if you have any additional questions.